I’ve partnered with Quicken Loans to offer this OUTSTANDING MORTGAGE DEAL. 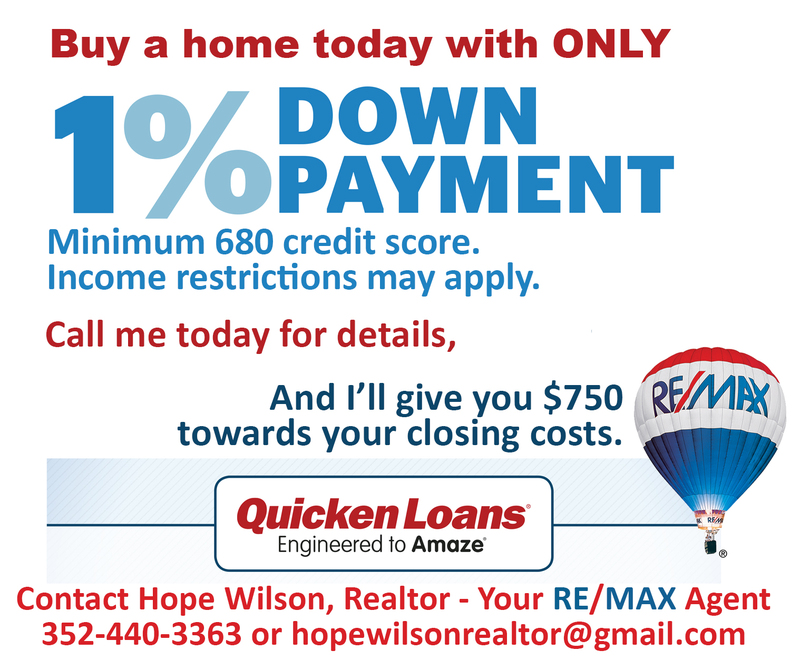 You only need 1% towards your down payment – you’ll receive an additional 2% down if you qualify. Not only that, but I’ll give you a $750 credit towards your closing costs. What are you waiting for? Call or email me today!